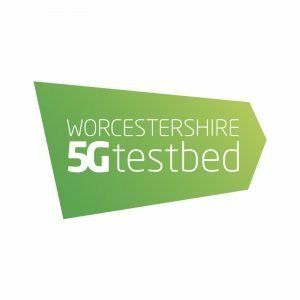 Worcestershire has been chosen by Government as the home of a new 5G Testbed, putting the county at the forefront of technological innovation. On the first anniversary of the Digital Strategy, the government announced Worcestershire as one of the winners of a £25 million competition to pave the way for a future rollout of 5G technology in the UK. There is six projects led by small and medium-sized enterprises (SMEs), universities and local authorities that represent the best of UK innovation, resources and expertise. 5G will be tested across a range of applications, including smart farming with drones, using the ‘Internet of Things’ (IoT) to improve healthcare in the home, increasing manufacturing productivity and maximising the future benefits of self-driving cars. Each testbed will receive between £2 million and £5 million in government grants, as part of a total investment of £41m from private sector and other public sector funding, to explore new ‘fifth generation’ mobile communications technologies that use high frequency spectrum to deliver internet speeds of over a gigabit per second. To find out more about the other testbeds, click here. 5G is the next generation of mobile technology. When it becomes available in the UK in the next three years, 5G is expected to have a profound impact on the global economy and the way people live their lives. According to the GSMA, as many as 1.4 billion 5G connections are predicted by 2025, as well as a host of new technologies not yet imagined. The Worcestershire 5G Consortium will begin the country’s most comprehensive industrial 5G Testbed trial with a team of 5G specialists and business experts pioneering the concept of ‘Industry 4.0’. The consortium of partners includes local infrastructure providers, national network operators and research and development facilities. They are: Worcestershire County Council, 5GIC at University of Surrey, AWTG, Huawei, O2, BT, and Malvern Hills Science Park. Worcestershire LEP is taking the lead in building a connected, creative, dynamic economy that delivers increased prosperity for all those who choose to live, work, and invest in Worcestershire. The LEP is now working with the Midlands Engine with a view to widening the availability of 5G across the region.